B.C.’s greenest builders are cutting down on heating and cooling needs, for huge energy savings. The homes at Green Emerald Estates resemble classic country luxury abodes. 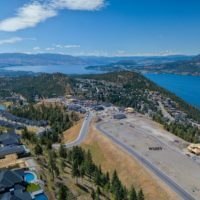 Perched on roomy almost half-acre lots in Salmon Arm overlooking Shuswap Lake, they have multi-car garages, high ceilings and custom kitchens. Tasteful timberwork and stone complement the landscape, while wide windows soak up serene lake and mountain views. Under the hood, they’re different. The interior spaces are amazingly toasty, airtight and humidity-free, thanks to highly insulated walls built from pre-fabricated structural insulated panels (SIPs) and basements built from insulated concrete forms. A mechanical system brings in fresh air, recapturing heat that would otherwise vent outdoors. The result is a structure that’s vastly more efficient than the average B.C. dwelling. Yet Green Emerald’s homes sell for between $800,000 and $900,000, no more than other lakeview luxury properties in the region. Their efficiency adds only a tiny percentage to the price, says Gary Arsenault, owner of Green Emerald Construction, the Energy Star-certified builder. If anything, it’s a selling features. In a 2017 survey by the Canadian Home Builders’ Association, three top homebuyer must-have features were energy-efficient windows, appliances and overall performance. Arsenault sees increasing consumer demand for green-energy technologies such as solar panels, too, but heating and cooling are the biggest household energy guzzler, accounting for 53 per cent of home energy use in B.C. “Let’s say solar panels are going to save you 30 per cent on your energy costs. If I insulate the house properly, and I insulate underneath the basement slab, I’m going to save you 30 per cent on your energy costs for far less money,” says Arsenault. The ultimate extension of this concept is the Passive House, or Passivhaus, a German standard that has become increasingly common here: there are 34 Passive House-certified buildings in B.C. (singleand multi-family), with many more getting underway within the next year. Superinsulated walls and tight sealing reduce the energy needed for heating and cooling by up to 90 per cent. They’re so airtight, and so efficient at conserving heat from the sun and other “passive” sources (including light fixtures, working appliances and warm bodies) that a heating system may not be needed at all. A heat-recovery ventilation (HRV) system brings and circulates fresh air, capturing and letting off heat as needed. Passive House technology pairs well with other green-building measures. British Columbia Timberframe Co., based in Squamish, constructs Passive House-certified and energy-efficient timber homes across B.C. To achieve extreme energy-efficiency without foam or plastic, the company imports a natural wood fiberboard from Germany and pre-fabricates wall panels in its local factory, packing them with spun-glass insulation made from recycled bottles. Heating and cooling are the biggest household energy guzzler, accounting for 53 per cent of home energy use in B.C. “The beautiful part about prefab is that the house is up and out of the weather in a very short time,” says company owner Kelvin Mooney. There is also little to no construction waste onsite, and labour costs are lower due to the shorter building time. What about getting rid of a power bill altogether? That’s going net zero, which means adding a renewable energy source in order to produce as much energy as a house consumes, for everything from heating and cooling to lighting, gadgets and appliances. Quebec-based prefab company Bone Structure designs and builds super-efficient and net-zero homes, with around 40 projects underway in B.C. The company eschews woodframe construction in favour of steel posts and beams. Using computer modelling to design and quantify components down to the last screw, it ships its frames in numbered pieces that clip together for speedy and nearly waste-free assembly. “It’s a mixture of something like a Meccano electric toy set and Lego,” says Bone Structure president and CEO Marc Bovet. 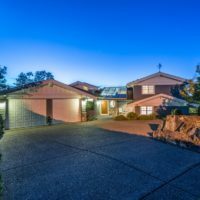 Between their super-high levels of insulation, HRV tech, airtight sealing and meticulous designs to capture passive heat, Bone Structure homes need little more than a small crop of solar panels to go net zero. 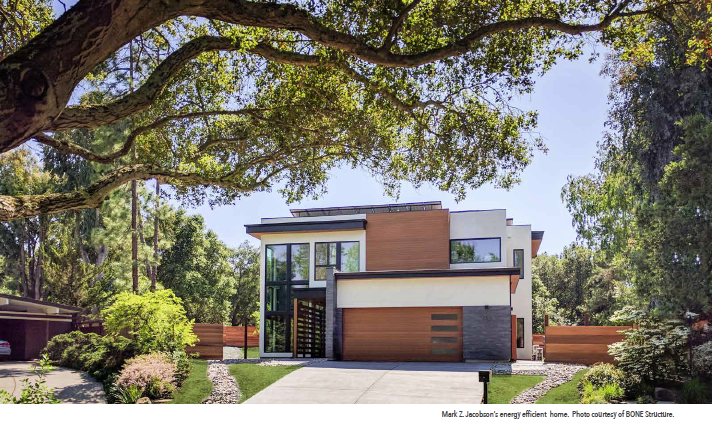 The company recently built a 3,200-square-foot, three-bedroom, three-bathroom house on California’s Stanford University campus for American renewable-energy expert Mark Z. Jacobson. Outfitted with rooftop solar panels and Tesla battery packs, the home runs entirely on electricity, even powering two Tesla cars. “After three months of usage, the hydro company would owe him $900. So he’s not net-zero: he’s positive,” Bovet says. Net-zero homes may well be the new normal soon. “Up to 50 per cent of the world’s energy is consumed in heating and cooling buildings. In the balance of things, if our buildings were better-designed, and integrated with what Mother Nature has to offer us… guess what: you could solve the energy crisis very rapidly,” says Bovet.